Berber villages trek: 3-day hiking Berber villages and 3 valleys of the high Atlas to discover some of Morocco’s hidden treasures. You will experience Berber life and stunning scenery with a local guide and learn about Berber culture and traditions. You will also spend nights with local families in the Berber villages, to experience the countryside first hand and Berber hospitality. 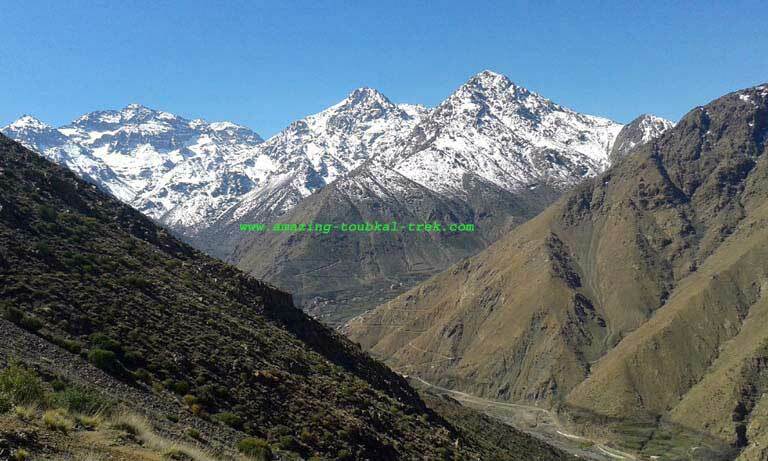 After a transfer to the village of Imlil in the High Atlas, we walk up along the valley towards Tacheddirt, passing by Tamatert Pass where we will enjoy huge lunch meal. After we continue to Tinerhourhine past through several mountain villages. We spend the night in local Gîte. 5-hour trek. After breakfast, we leave Ait Aissa walking towards Tizi Oussem through a forest of juniper. We reach M’zik pass, which affords us a magnificent panoramic view over Imlil valley. We then descend to the valley and stop for a lovely lunch, before we head back to Marrakech. 5 hours trek. End of Berber villages trek. Most of that equipment can easily rent for a reasonable price in Imlil before your trek. 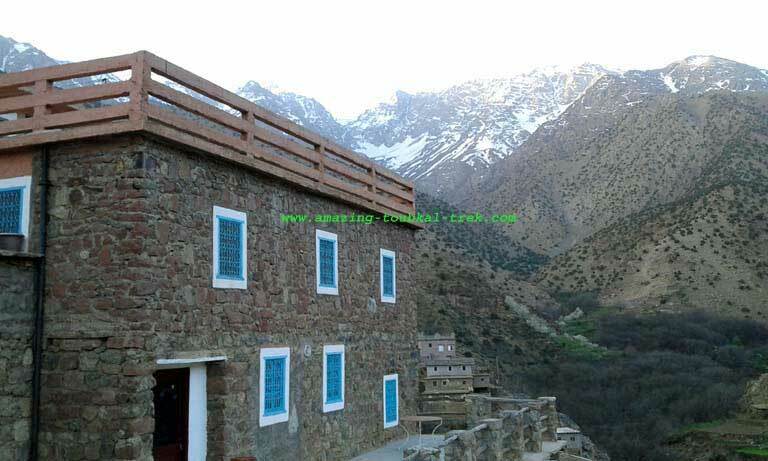 – This Berber villages trek is available and can be arranged for groups of all sizes. – We can organize airport transfers and accommodation in Marrakech on your behalf. 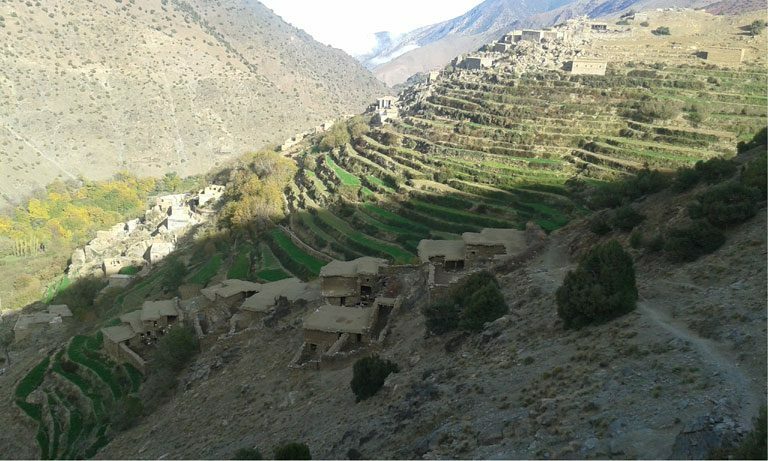 Berber villages trek: Hiking in the Atlas mountain and three valleys. 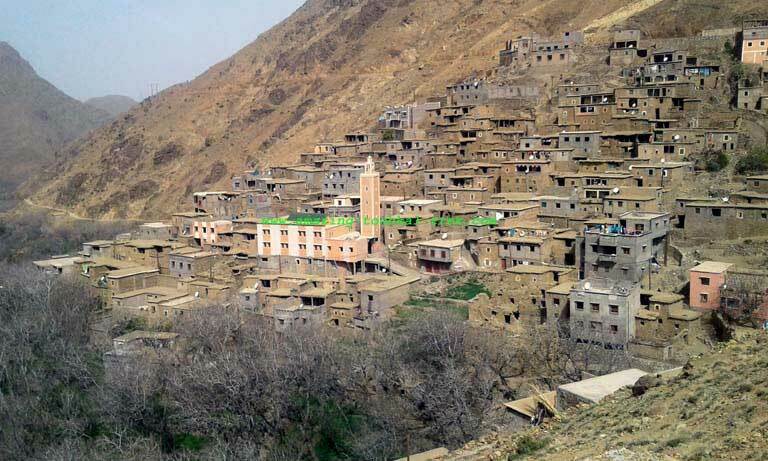 Berber Villages Trek, Hiking Berber Villages and 3 Valleys.